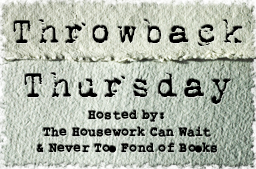 This entry was posted in Adult, Blog, Historical Fiction, Romance, Throwback Thursday and tagged Claire Randall, Diana Gabaldon, historical fiction, Historical romance, Jamie Fraser, Never Too Fond of Books, Outlander, Throwback Thursday, time travel. Bookmark the permalink. This is one of my all-time favorite books! I love it! Whoa… I had no idea it was released over 20 years ago! I’ve read this book no less than five times. I always stall on book 5 though. I get halfway through it and stop. I need to just push through so I can finish the series! Are you participating in the Outlander Read-a-long? I’m actually still on book 5 too. I checked it out from the library, got halfway through, then had to return it…and it hasn’t been available since. Grrrr! I think you’re my blogging soul mate or something. I came so close to using Outlander in my post this week. 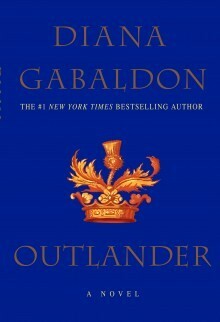 I really love historical fiction and a long epic series … which is why Outlander is one of my all time favorite books. I need to check this out! Thanks for showcasing this! I hope you enjoy! Thanks for participating! I remember trying to read this series a few years ago, and I just flat ran out of time. I was also a new mom, so I had no spare brain cells. It has all the elements of novels I like, plus the idea of a series is super appealing. I love a good long series where I can fall in love with characters over and over again. I got it when it was free on Amazon but never read it yet. I love thise theme! I’m going to take advantage of Throwback Thursday soon. Very cool! Outlander is one of those books I have pretty strong feelings on; I can absolutely see why people like it. I zipped through it in a matter of days, and it’s fairly hefty. But I had so many issues with the violence and how Claire reacted to it. This is the perfect book club book because it draws so many reactions from readers. I admit, I was a little disappointed the time travel aspect was not explored more. My mom swears it is in later books but I’m not quite invested enough to go through more. Still, it’s a book I love to hear opinions on, which makes sense that it’s stil so popular 20 years later.